Tasting Routes are drivable wine tasting itineraries that consumers can follow to guide their trip through wine country. 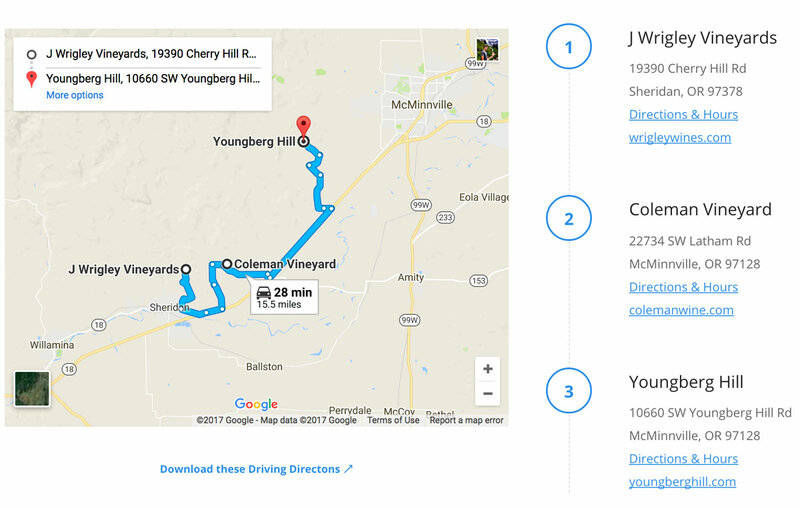 Each tasting route is presented as an elaborate, scrollable webpage that highlights each winery on the route as well as driving directions and other attractions. For examples of Tasting Routes, view our active Tasting Routes here. Promoted on Facebook, Pinterest, Instagram, etc. 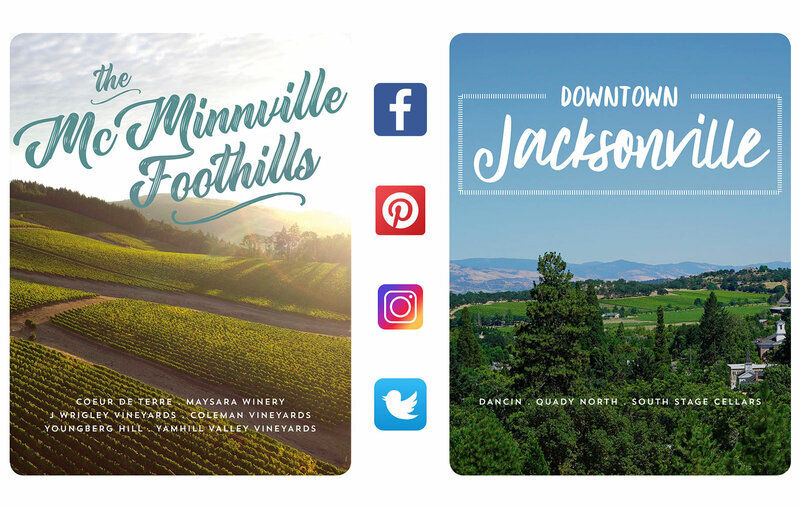 Each route comes with a custom-designed route cover and is shared to Pinterest, Facebook, Instagram and Twitter. All routes are promoted on Facebook with $50 budget. 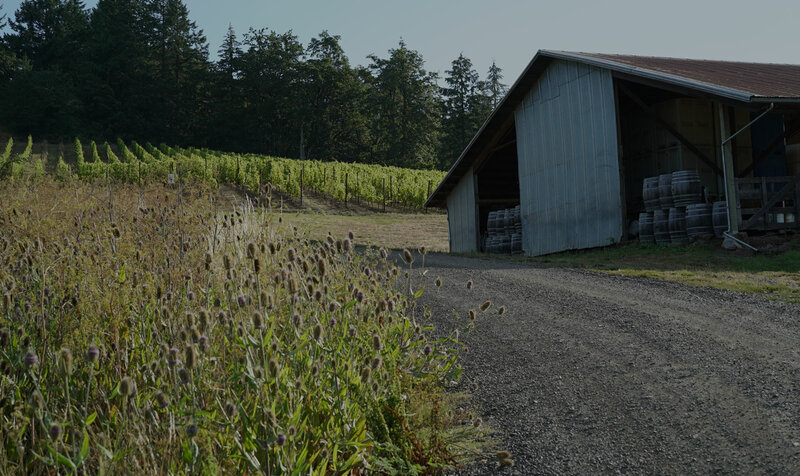 Our growing list of Oregon wine super-fans will be introduced to your route via our monthly email campaigns. What are the limits of wineries per route? There is a minimum of three wineries and a maximum of six wineries per route. Routes with five or six wineries will be split into "two-day" routes, with a suggested accommodation and restaurant between the two days of tasting. Can tour guides be promoted on a route? Yes! Each route can feature one tour guide / driving service. This cost is paid on a monthly basis directly by the tour guide and is the only form of traditional advertising on WineryHunt. Learn More. What is your promotion strategy for the routes? Besides promotion on social media and to our mailing list, our core focus and strategy is on best SEO practices to ensure high ranking in search engines. 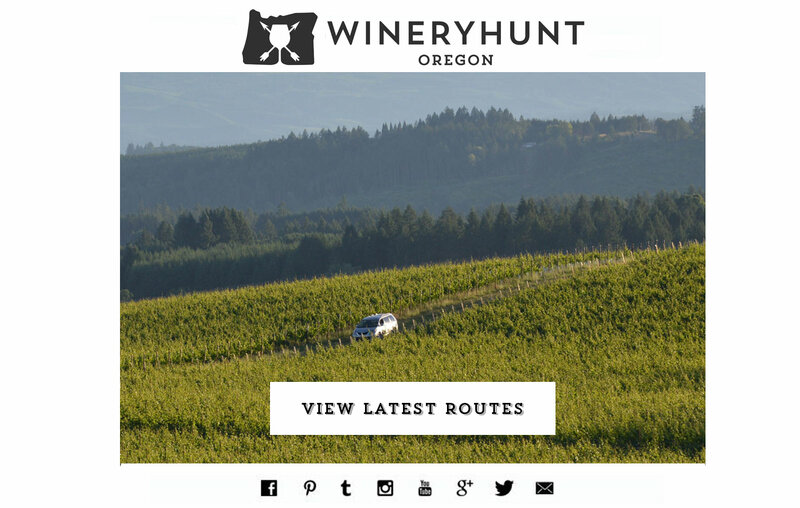 Routes on the first beta year of WineryHunt (Aug 2016-Aug 2017) quickly ranked very high, including the #1 spot for people searching for "Best Wineries McMinnville"
What types of routes are you looking for? Routes can be based on geographical location, highlighting your unique micro-pocket of wineries. Routes can also be organized by theme, such as hidden gems of Yamhill County or wineries with art galleries in Newberg. Be creative! This is a chance to brand more narrowly than the current AVA system. Who pays for the route? Normally, we will invoice each participating winery for their share of the route ($300 each). However, the costs can be allocated differently if certain wineries in your route are unable or unwilling to pay their portion, or if a tour guide or other business is covering the costs. Talk with your neighbor wineries to come up with the theme and participating wineries in your route. Once this is determined, just fill out the form below and we will reach out to everyone with the required information (photos, text, invoice). Are You Interested In A Video of Your Route?